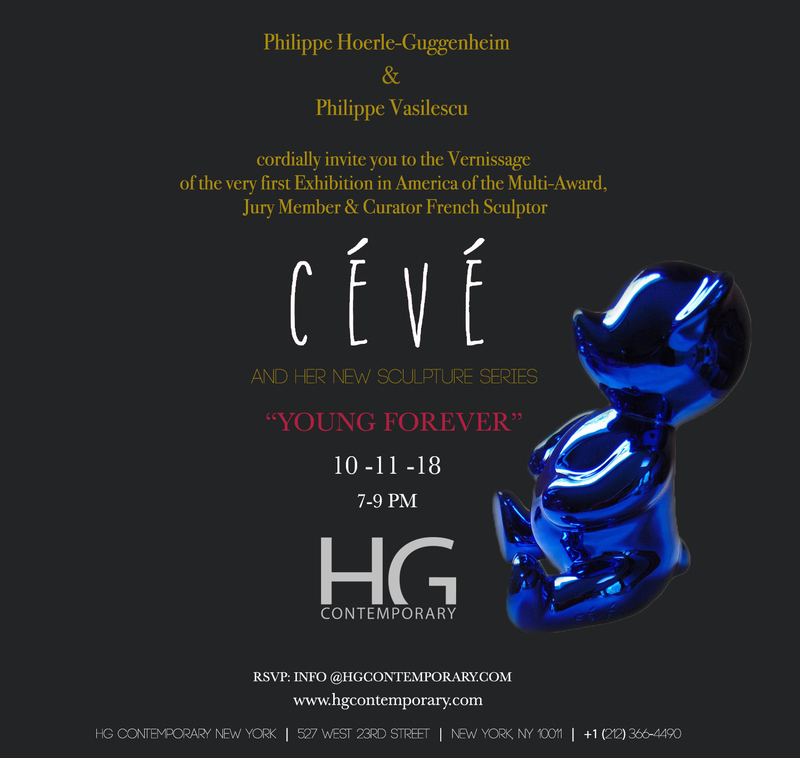 HG Contemporary is pleased to present the work of recognized French artist, CÉVÉ, her first solo exhibition in NYC, consisting of 9 series of limited edition sculptures entitled “Young Forever”, distinguished by their 5 different colors and 3 different sizes. This collection merges CÉVÉ’s legacy of luxury French craftsmanship with the innocent touch of childhood. The red version of the largest creation, Red Moon, is on display at the Baccarat Hotel in New York City.